Infinite Links celebrates and honors all your life moments, from the beginning with “A Gift from God” to the end with “Loving Memory.” Capture the emotion of all your life moments in between as well! 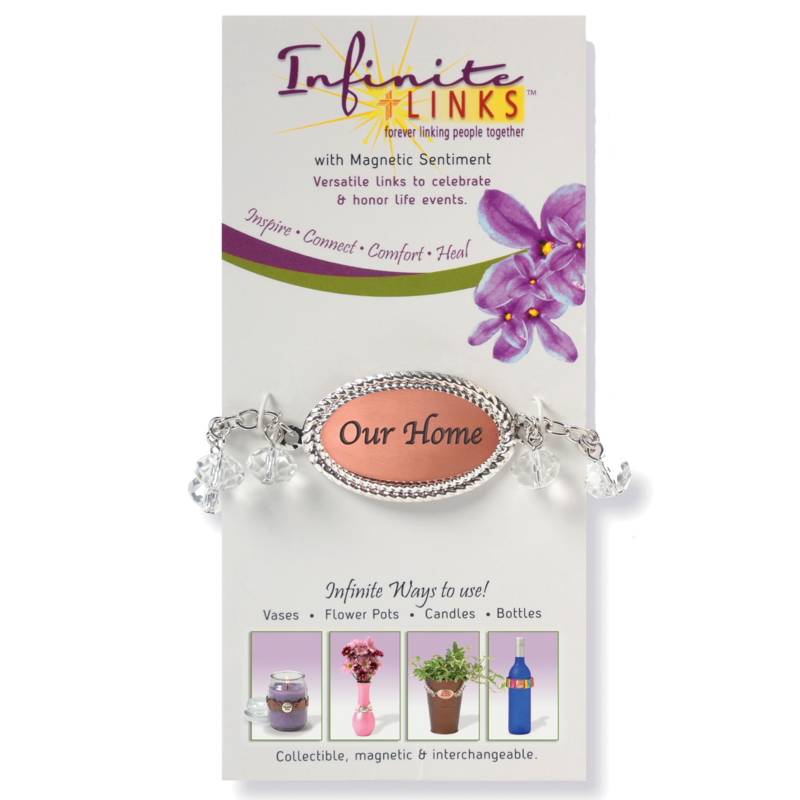 The Dangle Link was designed with hanging gems that shimmer and sparkle when applied to a candle. The Dangle Link captures the depth and meaning of life. Versatile – Apply to many home decor items, such as candles, vases, plants, bottles & more! 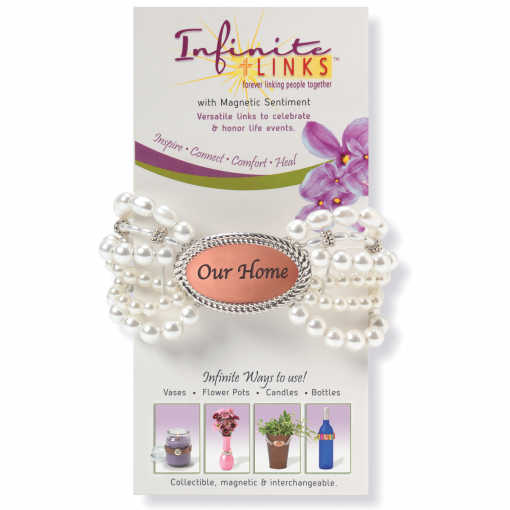 Magnetic – Sentiments are easy to change for any life event being celebrated or honored. Sentiments are easy to add, remove or store. Collectible – Find sentiments for every occasion, such as birthdays, anniversaries, new baby, funerals, holidays, and other life events. 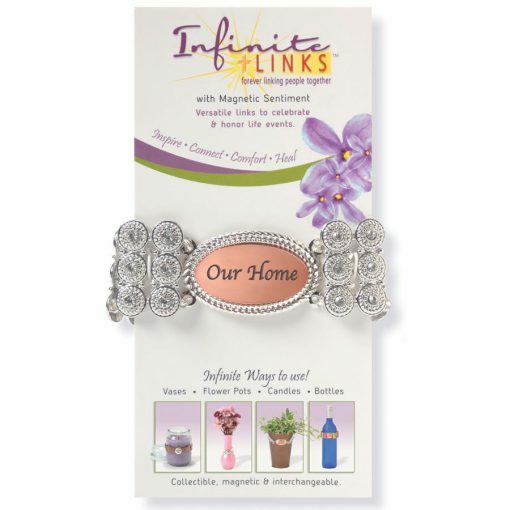 Unique – Our products capture the emotion of your life event being celebrated or honored and turns them into a forever keepsake of your memories. Dangle Link – It’s a Boy! 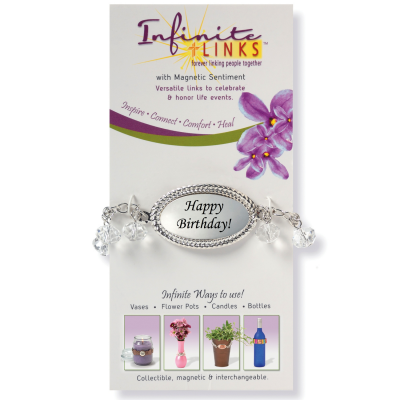 Dangle Link – Happy Birthday!